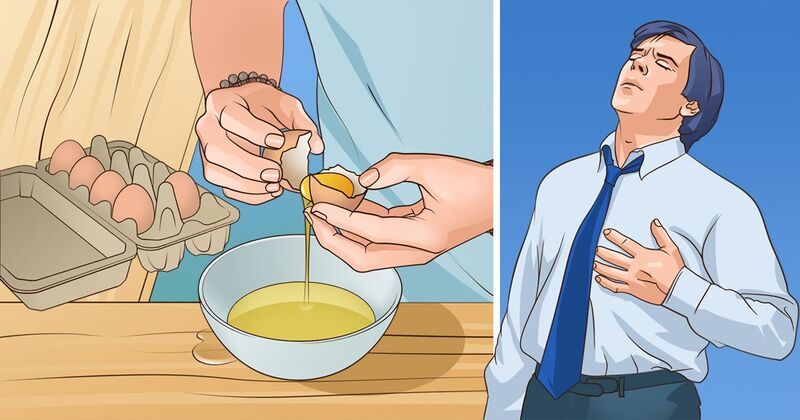 When experiencing heartburn, it may feel like the inside of your middle torso is burning, but the root of the problem lies with the esophagus, the tube connecting the throat and the stomach. When stomach acid irritates the esophagus, it produces a burning sensation. Other symptoms may include chest pain and coughing. Because stomach acid is the irritation cause, help combat this by eating food with less acid. One way to determine the acidity is to look up a food's pH level. The lower the pH, the more acidic the food is. For example, lemons and limes have a low pH. Look for food that has a middle pH of five or higher. Oatmeal has a neutral pH, meaning it falls in the middle of the scale. It also contains fiber and can absorb acid in the stomach, reducing what might back up into the esophagus. 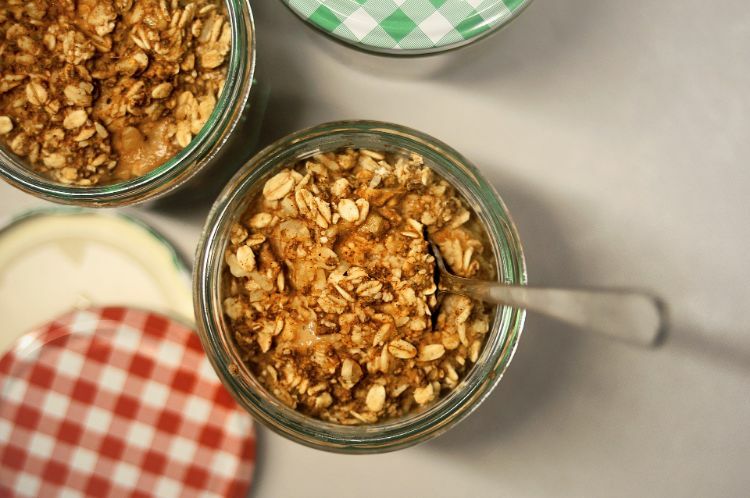 Like oatmeal, whole grains have a neutral pH and should not upset your stomach. 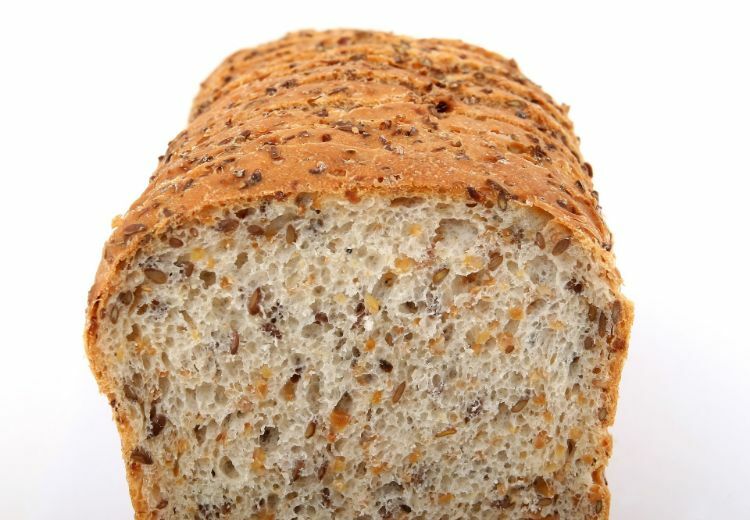 When purchasing bread to combat heartburn, make sure it is whole grain – not whole wheat. Whole grain means the grains have not been processed, which assists with acid reflux. Root vegetables are low on the acid scale, with the exception of onions. 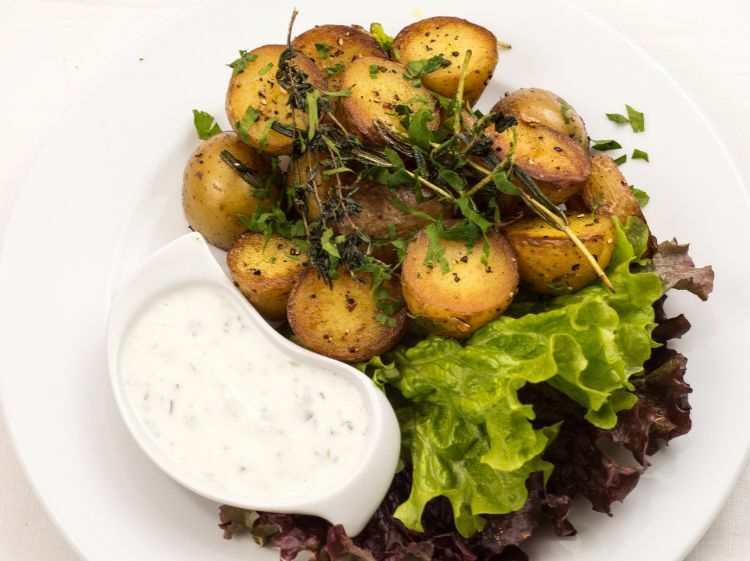 Try roasted potatoes or a simple baked potato as a side to broiled fish. Fish is low in acid and can combat heartburn – but only if it is prepared certain ways. 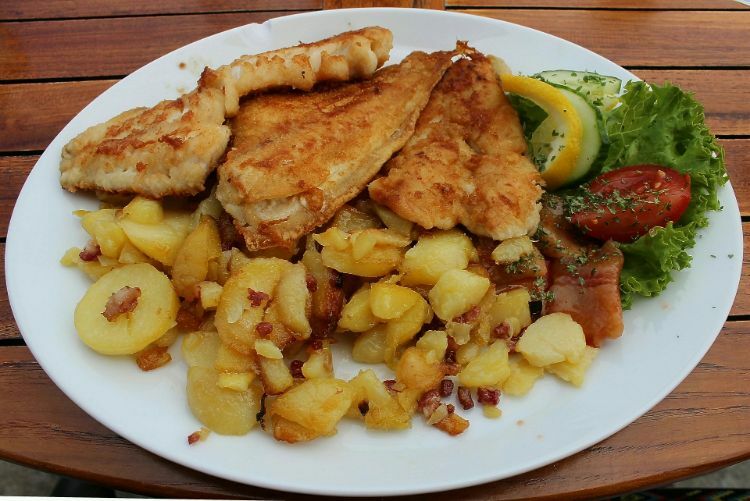 Poached, baked and grilled fish are good; fried fish is not. 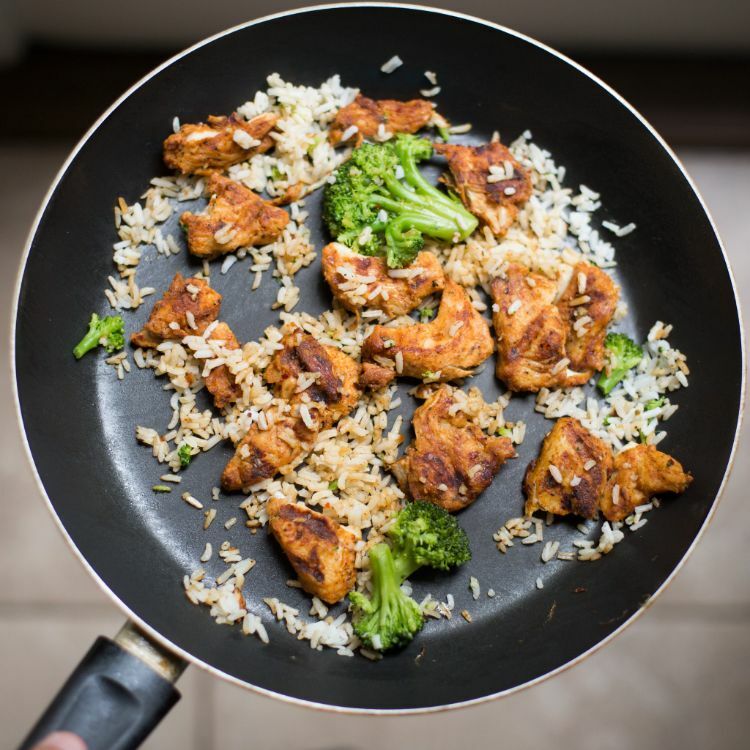 Keep seafood out of fatty oils and avoid heavy sauces. 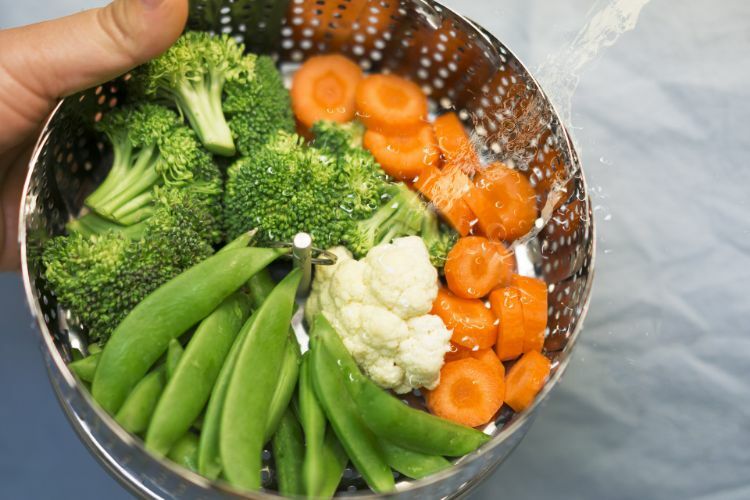 Most vegetables are low in acid, including broccoli, green beans, cauliflower, squash and asparagus. Those that aren't low tend to be a neutral pH. Fruit, on the other hand, tends to fall at higher levels, so limit fruit consumption if you are prone to heartburn. 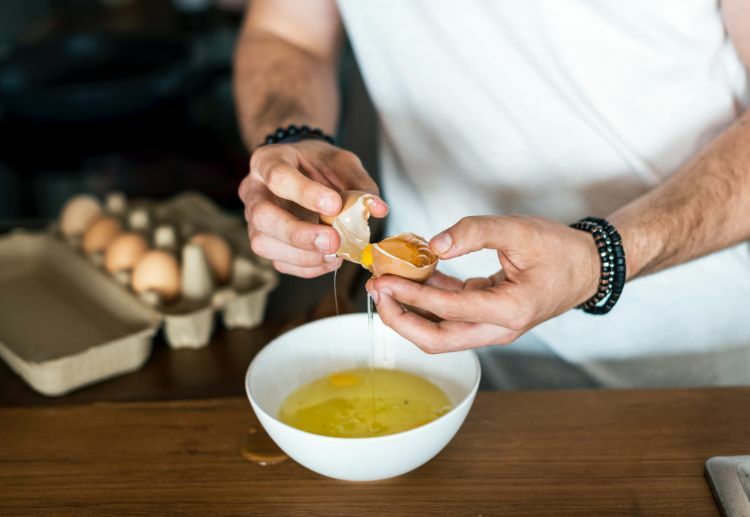 Egg whites do not contain as much fat as the yolk. The fat in yolks may set off acid reflux. An egg-white omelet can be just as filling as one made with yolks, especially when combined with as many low-acid vegetables as you want. Not all fruit adds to stomach acid. Non-citrus fruit such as bananas, apples, melon and pears are lower in natural acid. Toss sliced fruit into morning oatmeal for added nutrients and to fill up without heartburn. 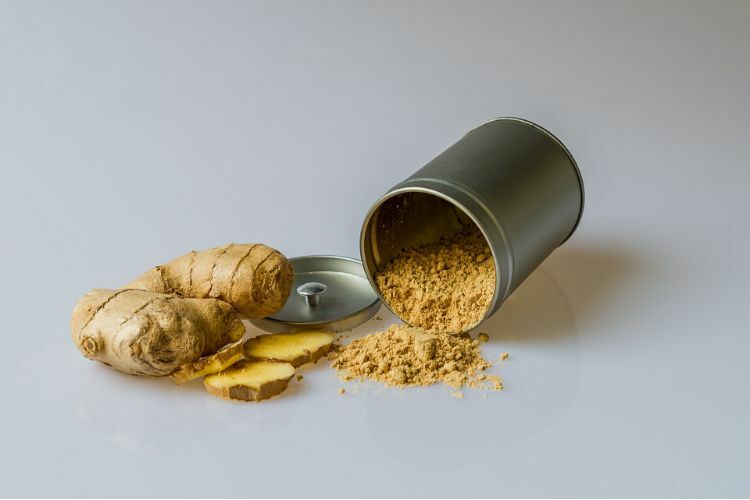 People in other countries have use ginger for medicinal reasons for a long time – and for good reason. The spice seems to aid in reducing the effects of heartburn and is a natural anti-inflammatory. Add ginger to a smoothie or drink some quality ginger tea. Look for real ginger in the ingredients. The word "lean" is the key to avoiding heartburn when eating meat. Lean, skinless meat does not have the fat that can irritate the stomach. It's important to avoid deep-frying meat in oil. Grill, bake, broil or steam the meat, then add it to a stir-fry. 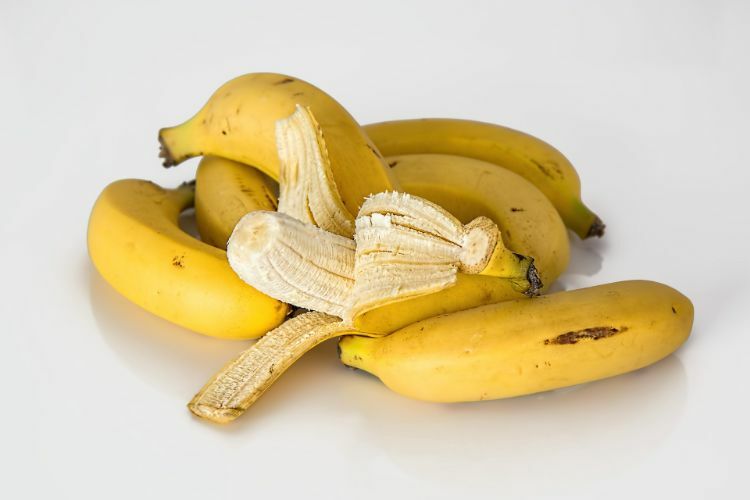 Instead of suffering through the nicks and rashes of a razor or the excruciating pain of a traditional wax, try these safe and all-natural ways to remove unwanted body hair. Give your body a boost in the morning with a simple drink that'll help boost your metabolism, give your skin a healthy glow and increase your energy.